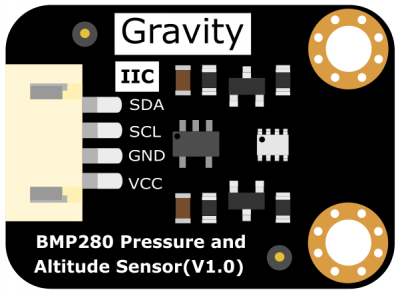 The upgraded Pressure & Altitude Sensor Gravity BMP280 by DFRobot has the functions both on detecting temperature and air pressure. It can be connected to Arduino, and controlled by Arduino code. Compared to the old edition BMP180, BMP280 has lower power consumption, more precise measurement, lower noise and higher sampling frequency. Normally, pressure sensors measure the air pressure and the temperature. Because of the relation between the air pressure and the altitude, we can use the air pressure sensor to measure the altitude and the building height. BMP280 is also suitable for navigation, by the use of Inertia Measurement Unit (IMU), BMP280 can be used in GPS refinement, 3D in-door navigation and floor detection. The BMP280 is based on Bosch’s proven Piezo-resistive pressure sensor technology featuring high EMC robustness, high accuracy and linearity and long term stability. The relative accuracy is ±0.12 hPa, which is equivalent to ±1 m difference in altitude. The operating temperature range for long tern stability is 0 ~65 ℃. Attention: because the sensor is very sensitive to the environment, please don’t touch it. To measure the air pressure and temperature of the local environment, and calculate the altitude of the sensor. 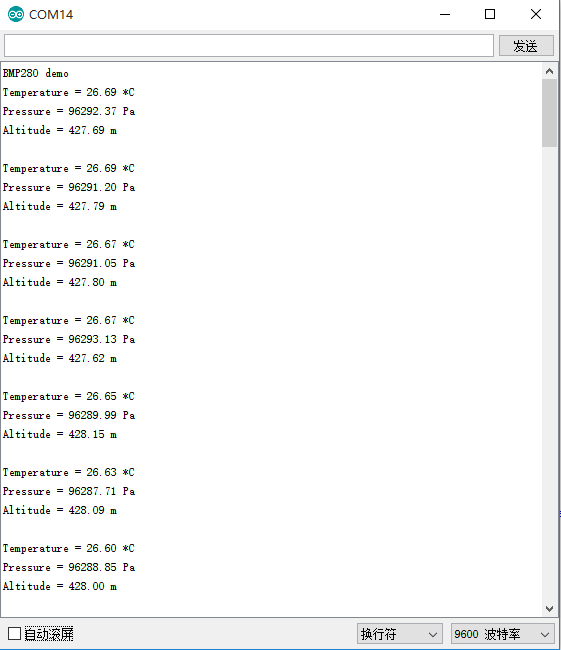 * @brief DFRobot's Temperature & Barometer. Q1. Did I get the right value? It is always changing. A1. You can visit the local weather forecast to confirm the data. 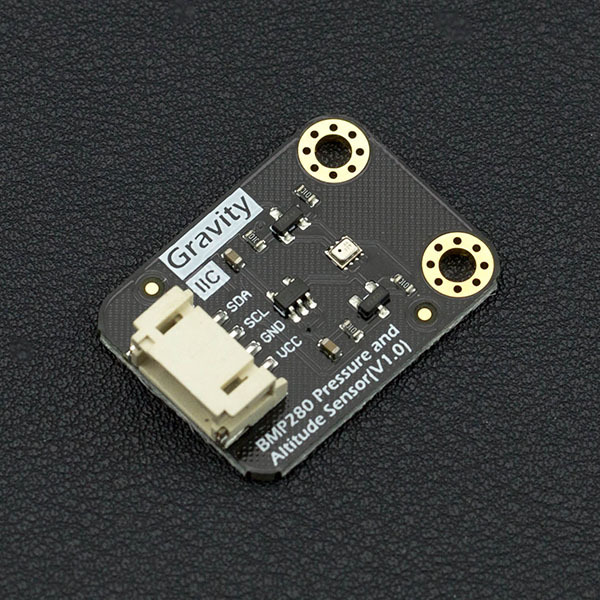 Get Gravity: i2C BMP280 Barometer Sensor from DFRobot Store or DFRobot Distributor.